Women in Law Enforcement may not be as prevalent as you may think! 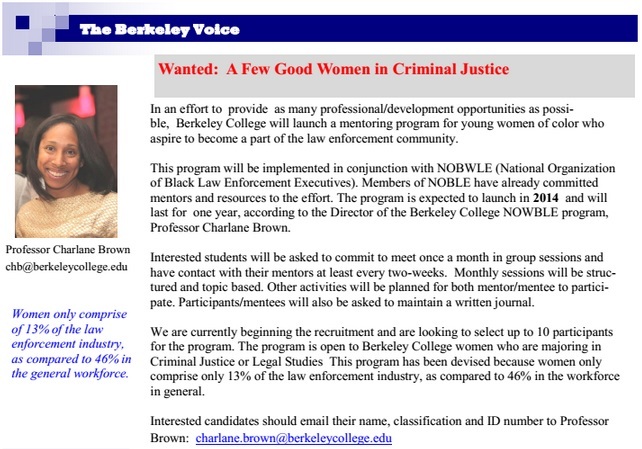 With that fact alone, Berkeley College is now launching a mentoring program for young women of color who aspire to have a career in Law Enforcement. Check out the article below from the inaugural edition of “The Berkeley Voice”!